The timeless charm of a mountain chalet surrounded by nature makes it the ideal place to spend winter holidays in order to recharge yourself. 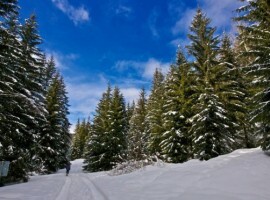 Through snow and forests of high altitude, an holiday cottage is suitable for all, from families with children, who can play outdoor, to romantic couples in front of the atmosphere of a fireplace, while sports enthusiasts dispose of large snowy slopes and trails for wonderful excursions. 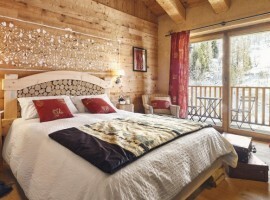 Mountain life is strongly linked to the respect for the environment and nature, here are 16 suggestions for a chalet vacation in the name of sustainability, but with all modern conveniences. 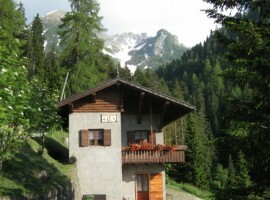 A small village of chalet in wood and stone, in the heart of the Dolomites, is what it takes to regenerate outdoor. 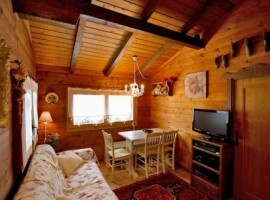 Orse Rose Chalet allows a stay in complete autonomy, organizing outings and excursions as you like, and is able to convey stories and traditions of the place through the furnishing elements of the chalets. There’s an organic garden and a dog sitting service, when you can’t bring your four-legged friends on the ski slopes, while climbing or trying a game of tennis. 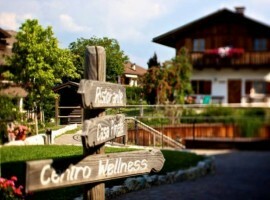 In the heart of the Dolomites you can find an amazing hotel, perfect for a wellness holiday in nature. 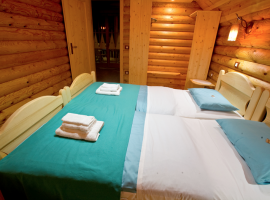 Tthe Pineta Hotels provides mountain chalet or beautiful wooden furnished rooms, a spa with saunas, swimming pool and Jacuzzi and a restaurant where you can discover the flavors of Trentino. 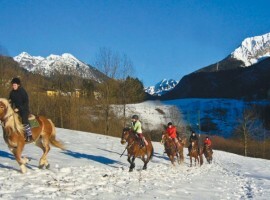 From the hotel you can discover the Val di Non, you can live the experience of a romantic carriage ride around the lakes of Coredo and Tavon or pick apples in the family’s orchard. 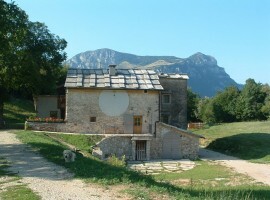 An ancient mountain village in the province of Cuneo has been recovered in an eco-sustainable way and turned into an accommodation. 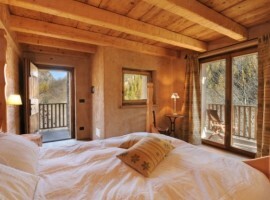 This beautiful Albergo Diffuso is made up of 13 units, typical mountain chalets. 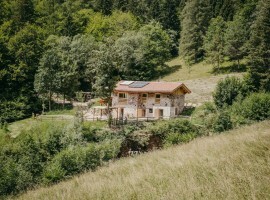 The energy of the accommodation is 100% green and, among other things, offers a huge outdoor play area for children and a beautiful wood-burning oven. 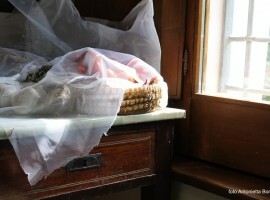 The location is breathtaking: the village is nestled in the Maira Valley, Piedmont area near the border with France still little known and far from mass tourism. In every corner romantic paths and signs of war trenches hide. Here you can discover the uncontaminated nature and the incredible scenery that only it can give us. 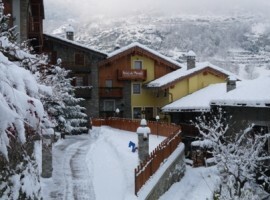 In the Gran Paradiso Park, Relais du Paradis is a quaint B & B in wood, a few km from the spa of Pré-Saint-Didier and from the ski resorts of Aosta Valley. Renovated in 2011 in full respect of nature, with renewable resource plants of low emissions of CO2, Relais du Paradis offers 6 bedrooms, one family-friendly that you can use as a residence, with kitchen staff, and one dedicated to couples for a romantic getaway, with spa bath and color therapy, infrared sauna in birch wood. 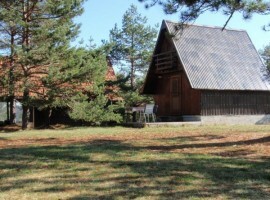 The scenic locations, including pastures of goats, sheep, cows and horses, and a room used as a small library ensures moments of complete relaxation. 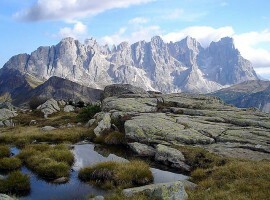 An ancient mountain Maso surrounded by 7 hectares of wood, in the unspoiled nature of Trentino (North Italy). 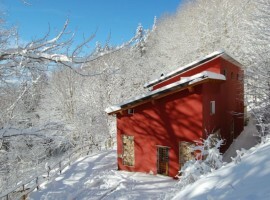 This beautiful eco-chalet is located 1,200 meters high in the Valle dei Mocheni, 18 km from Levico Terme and 22 km from Trento. 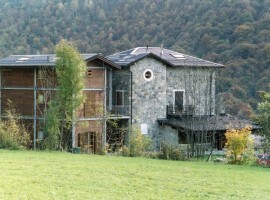 The rustic has been recovered with attention to the bio-architecture, preserving the original forms of the mountain farm. Odomi has wooden floors and stunning views of the surrounding landscape. 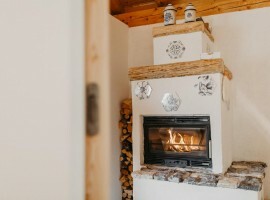 A beautiful fireplace, a Jacuzzi, a flat-screen television, a large equipped kitchen and a large outdoor garden are just some of the services available to guests. 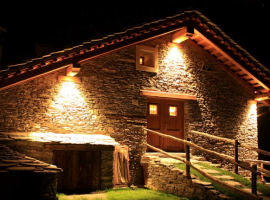 Housed in an old stone cottage of Lessina, the farm holiday Malga Riondera was recently renovated according to the principles of green building, using environmentally friendly paints and energy supplied from renewable sources. 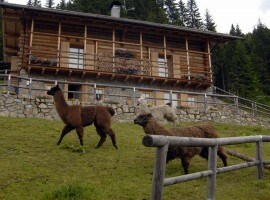 The farm Malga Riondera is in the midst of the mountains of the Natural Park of Lessina and Small Dolomites, which you can see as you walk through the nearby woods of deciduous and coniferous trees. Three apartments available, simply furnished and cozy, with the opportunity to make your own meals, thanks to the large kitchens. 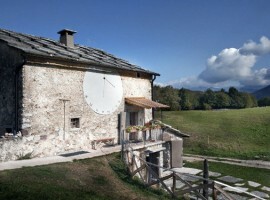 The organic farm Casa Essenia comes from a 1850 house renovated with sustainable materials such as wood, clay and stone. The convenient location close to the lakes Garda and Idro, and the Brenta Dolomites, allows close contact with nature, and also triggers a healthy lifestyle that you can experience staying there. 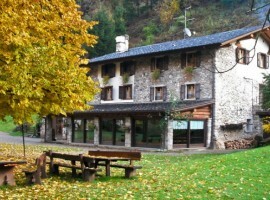 The farm holiday Casa Essenia proposes a natural cuisine with ingredients from the biological vegetal garden, ideal for charging energy before facing one of the many excursions on bike paths or mountain guides, or canyoning and paragliding for more adventurous people. 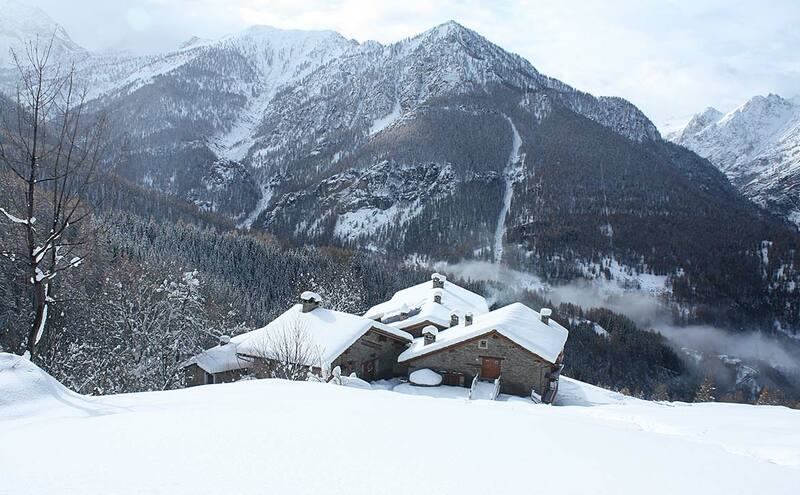 In the Natural Park of the Maritime Alps, on the border with the Mercantour Park, stands Locanda del Sorriso, a beautiful stone and wood chalet consisting in 11 rooms, a rooftop terrace and a restaurant serving healthy local products, promoting the local economy. A conscious energy consumption and the use of eco-friendly detergents make Locanda del Sorriso a place of respect towards the beautiful natural surroundings, which you can find out through a long path that was once the ancient salt route. 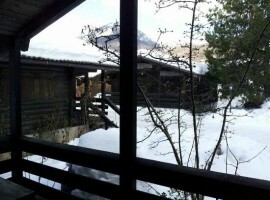 At 1,450 meters in the Valley of Lozen (Primiero), not far from Pale di San Martino is located the Chalet nel Doch, which consists of three units: the main house has a bedroom, a living room and a small library, a bio-sauna room with herbs and bath with shower and toilet. 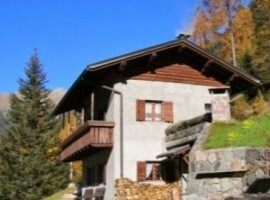 Ideal both for winter and summer holidays, Chalet nel Doch is surrounded by woods, where it is common to see deer and squirrels, and is a great starting point for Nordic walking, hiking, horseback riding or mountain biking, and of course for the ski resorts of the Dolomiti Superski. The furniture in traditional stone and larch, combined with innovation for energy consumption with low environmental impact, completes the magic of the stay. We are in the Sila National Park and the Casello Margherita is a real ecological refuge that was originally a roadhouse of the ‘900, restructured according to green building. It rises 1424 meters above sea level and is only ten kilometers from the towns of Celico, Spezzano Sila and Camigliatello Silano. 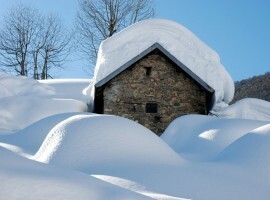 Casello Margherita is open all year, so during winter offers a snowy and very impressive landscape with the chance of snowshoeing or skiing trails, while in summer is a great cycle tour. 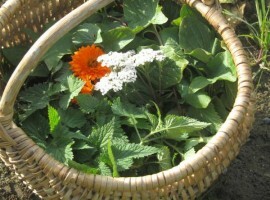 Furnished with local handicrafts, it also offers traditional cuisine made from organic products. In the pristine nature of the Maira Valley, the Locanda Lou Pitavin offers a spectacular view of the woods and the mountains. 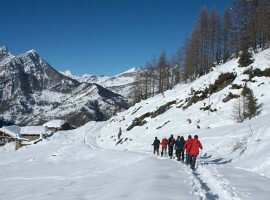 From here there are unmissable itineraries to follow on foot or by mountain bike. 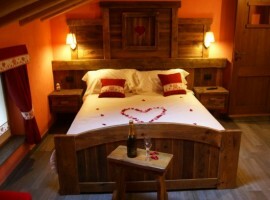 The romantic rooms, furnished in a traditional chalet style and covered with scented pine pine, provide moments of relax and privacy. 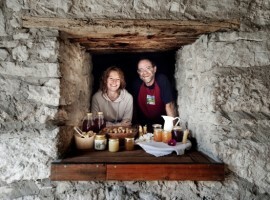 In the restaurant you can taste typical dishes of the Occitan cuisine prepared according to ancient recipes, based on local products. Do not miss the handmade potato gnocchi with mountain herbs. 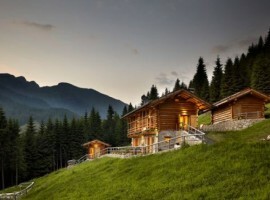 In the valley of Mòcheni at 1,600 meters above sea level, Baita Knopnbolt Hott offers spectacular views of the Lagorai mountain group in eastern Trentino. 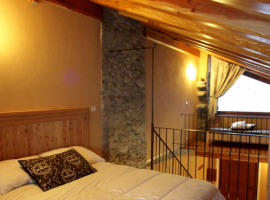 The proximity of the forest and the river Fersina allow many excursions, on foot or mountain bike, in a green and unspoiled nature, while the three rooms of the chalet Knopnbolt Hott provide moments of relax and privacy. 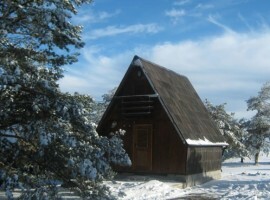 From this place you can reach Lake Erdemolo or the mining Museum Graub va Hardimbl, ancient mine of the sixteenth century. 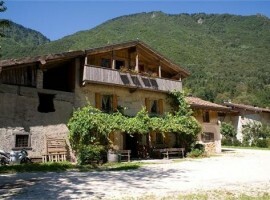 Easily accessible from Bergamo (and the airport of Orio al Serio), Farm Holiday Ferdy is in Val Brembana. The rooms in wood and stone are arranged in different units, to meet the needs of couples and families, and a large room is used as a common area to enjoy teas made from fresh herbs in front of the warmth of a fireplace. 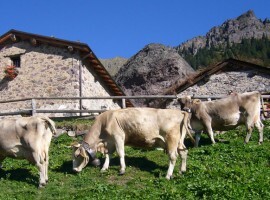 At Ferdy holiday farm you can try unique experiences such as milking goats, excursions with donkeys or canoeing on Brembo and riding lessons. 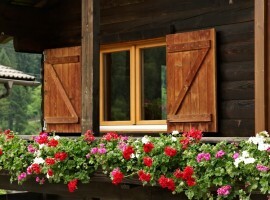 The cuisine is based on farm products and presents dishes suitable for vegetarians and gluten intolerant. 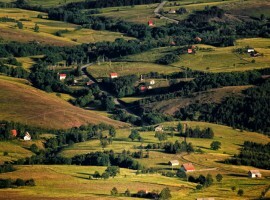 At 1050 m above sea level, in the heart of Serbia, there are two small and rustic chalets that offer an incredible view of Divčibare. The winter sports enthusiasts will find numerous ski slopes near the Markovic Chalet, including some lit for night skiing experience. 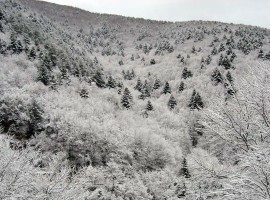 The area is rich in rivers and streams and there are trails and nature walks. 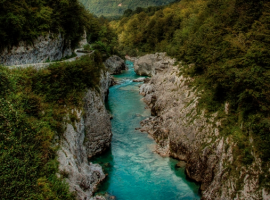 Nestled in the beautiful forest above the Soca River, the Koren campground with a long tradition in ecotourism offers to its guests 6 beautiful chalet built entirely of wood. With their 100m2 on two levels are the perfect solution to live a luxurious stay without losing touch with nature. 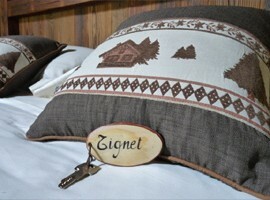 Perfect for a family holiday, each chalet can accommodate up to 6 people, and two of them are also allowed pets. The camping has many climbing walls and an adventure park, around activities abound: canoeing, paragliding and bike rides await you! 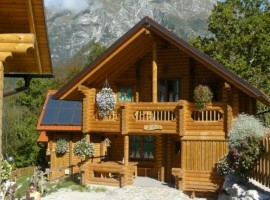 A short walk from the idyllic Lake Bled, The Glamping Gozdne Vile offers beautiful mini chalets and mobile homes. 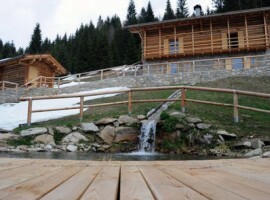 The camp became glamorous and the tent are replaced by these particular ecological construction in larch. 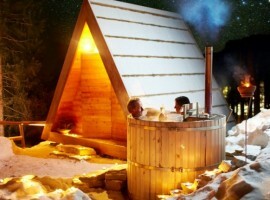 Some have a hot tub outside, also in wood, perfect for a romantic evening. The beautiful surroundings invite you to walking and cycling. Ice hotels: have you never slept in a real igloo? 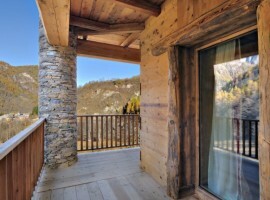 This entry was posted in green hotels and tagged Agriturismo Casa Essenia, Agriturismo Cimone, Agriturismo Ferdy, Agriturismo Malga Riondera, Alps, Appennines, Baita Knopnbolt Hott, Bled, Casello Margherita, chalet, Chalet nel Doch, Eco villaggio Sagna Rotonda, Glamping Gozdne Vile, green, holidays, Italy, La Locanda del Sorriso, Markovic Chalet, mountain, Orse Rose Chalet, Piedmont, Pineta Naturalmente Hotels, Relais du Paradis, Serbia, Slovenia, Tavon, The Koren Eco Chalets, Trentino. Bookmark the permalink.